It’s that time of year when we all start to anticipate our Spring Break travel plans with excitement of sunny skies, family and friends. For many, it’s all about accommodating as many as you can on your family beach vacation. There’s nothing more fun or efficient than adding a bunk room to maximize your space! Luckily, bunks have come a long way from your last overnight camping experience and are not just for kids anymore! 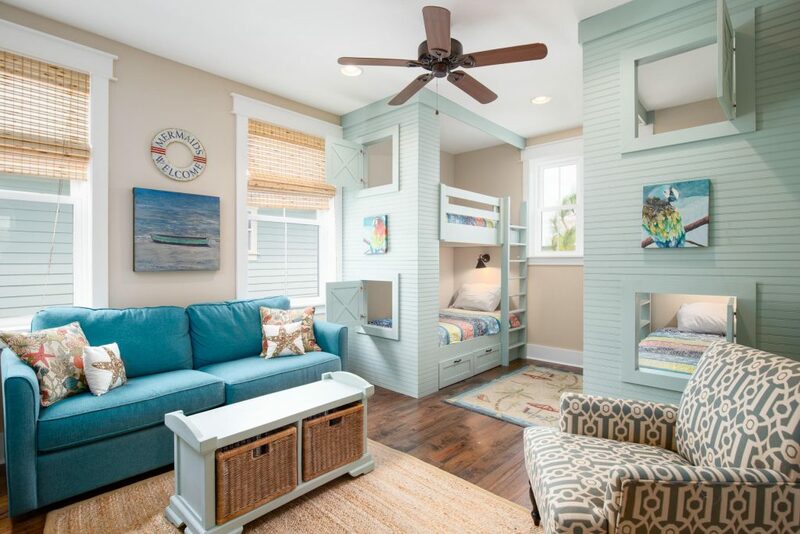 Take a look at some of our favorite stylish yet practical 30A beach bunk rooms on the market now! These playful bunks come complete with swinging barn doors! Their bright happy colors instantly transport you into 30A vacation mode. Added drawers underneath are perfect for stowing away clothes and toys! To see more of this home CLICK HERE. 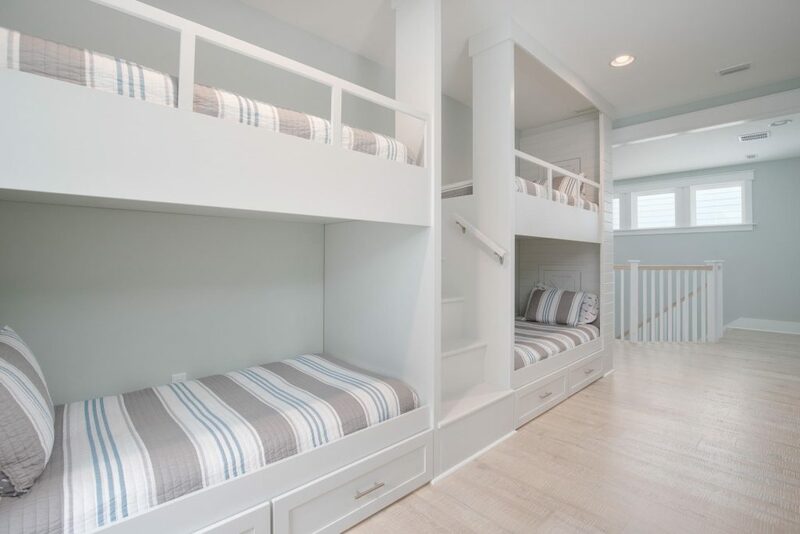 Safe for little ones of any age with a set of stairs built in leading up to the bunk beds plus sturdy railings should make you and your child feel at ease. With the beds tucked into the wall, alcove style, guests can pull back the curtain and feel a sense of privacy. 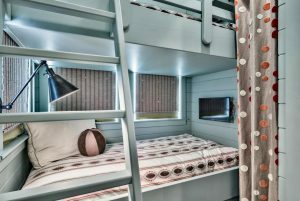 Each cozy bunk has its own lamp for late night reading or television for entertainment!